We install lean-to conservatories across… Warwick, Royal Leamington Spa, Kenilworth, Wellesbourne, Stratford-upon-Avon and Warwickshire. All of our lean-to conservatories are made to measure, manufactured from premium grade materials and installed by a professional team. These factors combine to ensure your conservatory looks and performs at its very best even long after it has been initially installed. You won’t have to worry about this conservatory failing you once the installation team leaves, making it a worthwhile investment for both your time and your money. Due to the modern design of our lean-to conservatories, you can rest assured that you’ll be able to use them for a wide range of purposes. Previous homeowners have used their new conservatory as a gym, dining room, living room, games area, nursery, and even a bedroom! 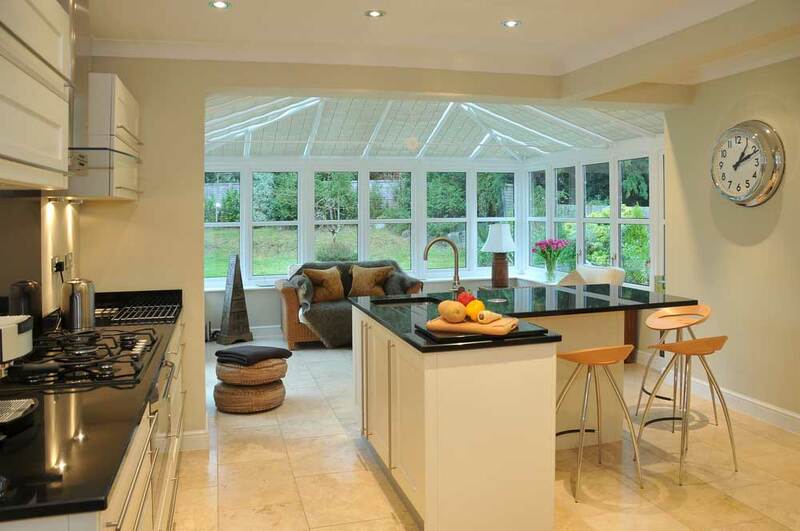 We’ll be able to tailor your conservatory to suit the needs that it will be used for. Simply speak to a member of our helpful team who will be on hand to ensure you get the perfect fit. Choose from a wide range of colour options for your lean-to conservatory, ranging from modern through to traditional. This also includes a range of woodgrain foils that will help you to bring a timber look to your conservatory without having to worry about any of the maintenance problems. Whether you’re looking for a conservatory that stands out or blends in, we’ll have an option that is the right fit for you. Lean-to conservatories have proven themselves to be a popular option amongst homeowners looking to bring new living space to their home that is both high-performance and cost-effective. Their instantly recognisable design makes them a versatile option, suited to a wide range of properties so you can rest assured that you’ll find the right lean-to design to suit exactly what you’re after for your property. All of our lean-to conservatories are manufactured using premium grade materials and are designed to keep you comfortable all year round. This means that you won’t have to worry about any of the outdated problems that usually come with older designs: including your living space becoming like an oven in the summer and a freezer in the winter. 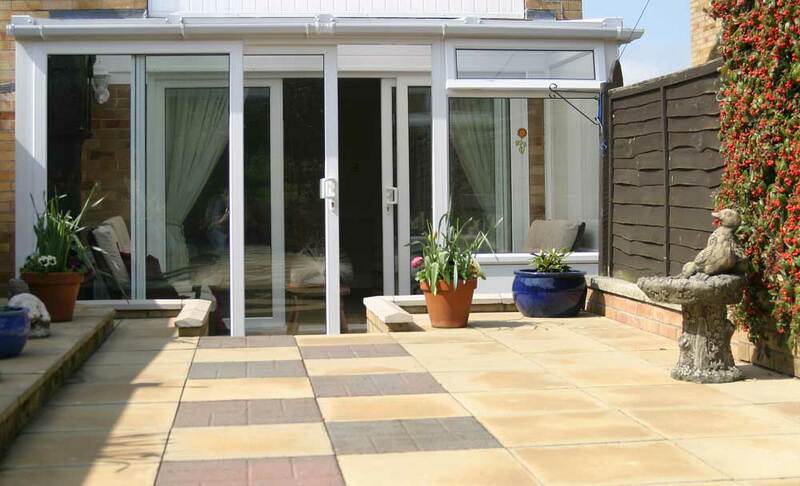 We make sure to offer you a standard of conservatory that you can use all year round. We know the importance of feeling comfortable in your home, especially through the colder winter months. With this in mind, all of our lean-to conservatories are manufactured using a thermally efficient profiles that utilise multiple chambers to keep the warmth in your home and the winter winds at bay. This standard of heat retention can also help you to save money too, as you may rely less on your central heating to keep your home the right temperature. Choose from a wide range of wall and glass options to complement your home in the right way. 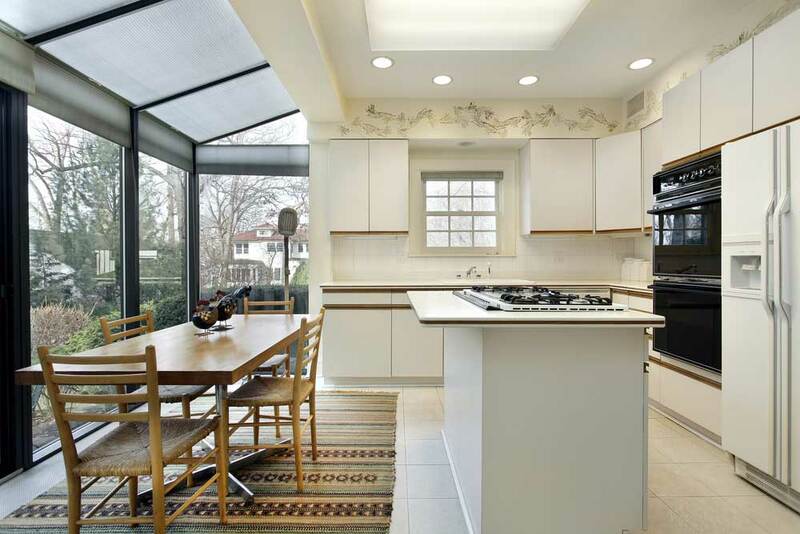 This includes fully glazed walls that enable natural light to flood into your property without letting the elements in. Choose from a full brick wall or dwarf wall to bring the right finish to your lean-to conservatory, and self-cleaning glass to enjoy the benefits that the innovations of the modern age have achieved: we also offer a wide range of beautiful and high-quality options to choose from. As conservatories have historically been seen as the weak spot of a home, we have taken measures to ensure this is something that you never have to worry about. All of the conservatories that we offer are manufactured using premium grade materials and complemented by high-security, multipoint locking systems that engage at multiple points of the frame to ensure protection is kept consistent and weak spots are avoided. Our lean-to conservatories are manufactured using high-quality uPVC, which is inherently low maintenance by design. This means that you won’t have to worry about your conservatory rotting, warping, cracking, or discolouring over time. This also means that you won’t have to worry about any cutting or sanding to ensure the windows and doors won’t stick, allowing you to enjoy all your conservatory has to bring without any of the headaches. Visit our online quoting engine to get a free, instant, and highly competitive lean-to conservatory price. Simply input your details through the step by step process to get a tailored price that has been tailored to your specifications. Alternatively, you can get in touch with us via our online contact form to speak to a member of our team. We’ll be more than happy to offer you a quote this way, or you can get in touch should you have any questions regarding our products or prices. We are a professional, friendly, and trusted installer of windows, doors, conservatories, orangeries, porches, and conservatory roofs across Warwickshire, Warwick, Royal Leamington Spa, Kenilworth, Wellesbourne, Stratford-upon-Avon, Evesham, Shipston-on-Stour, Banbury, Bidford-on-Avon and surrounding areas.